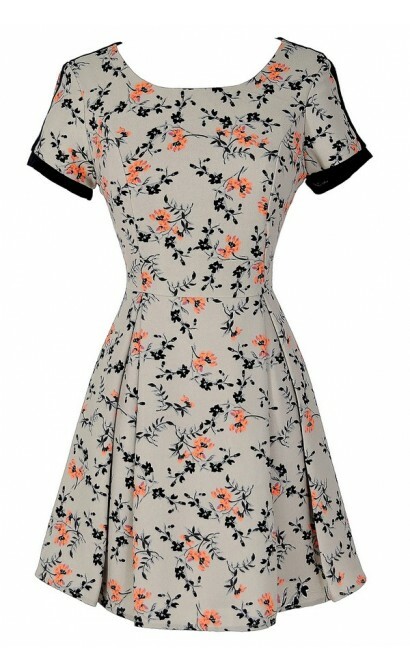 The hazy grey background of this dress is amped up with bright, unexpected florals. 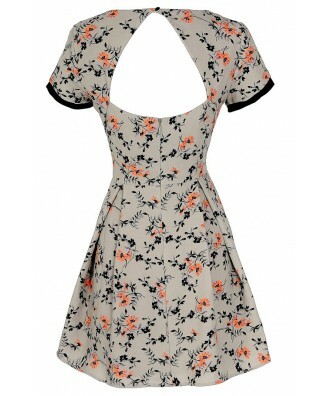 The Blooming Brights Flower Print Pleated Dress is fully lined and made of a heavyweight fabric. It has a light grey background with a dark navy and bright neon orange flower print throughout. 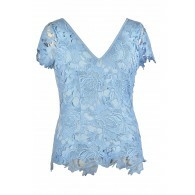 The rounded neckline, cap sleeves, and princess seams at the bust all combine to create a girly shape. The attached skirt has pleated details and a great A-line cut. 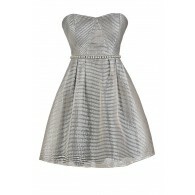 A fabric cutout at the back and a hidden back zipper complete this dress. The Blooming Brights Flower Print Pleated Dress would look nice paired with pumps, wedges, or t-strap heels. Details: Fully lined. Hidden back zipper. 100% polyester. Hand wash cold. 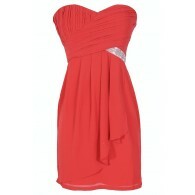 Small measurements: Length from top of shoulder to hemline: 33”. Bust: 34”. 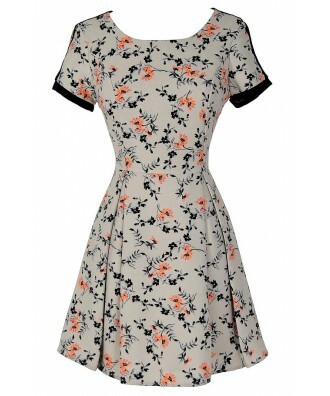 You have added Blooming Brights Flower Print Pleated Dress into Wishlist. 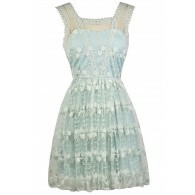 You have added Blooming Brights Flower Print Pleated Dress for Stock Notification. 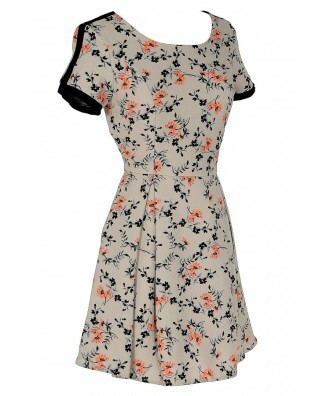 You have set Blooming Brights Flower Print Pleated Dress as a loved product. 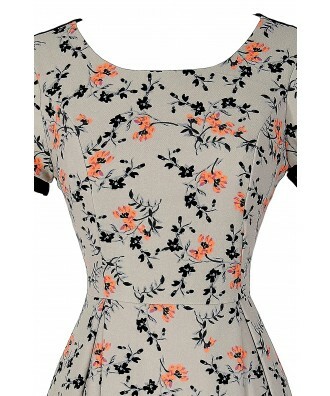 You have removed Blooming Brights Flower Print Pleated Dress as a loved product.